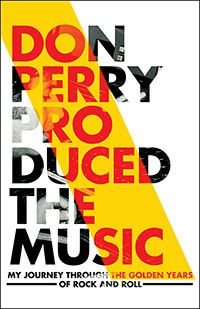 Don Perry’s “Don Perry Produced The Music: My Journey Through The Golden Age Of Rock and Roll.” Don Perry was an “eye-witness” to the birth of Rock and Roll. He sold his car in 1963 and headed to Hollywood to become a Rock Star. That was 30 years ago. This book traces his journey in the music industry, the golden years of Rock and Roll and how they shaped every step of the way.